Locksmith Albuquerque: After a Break-In - What Should You Do? A home is a refuge, and for a majority of us, it will remain an unbroken barrier between us and the rest of the world. However, when a home is broken into, more than just windows or doors get broken. The psychological impacts of a break-in can last far longer than any damage to the property. 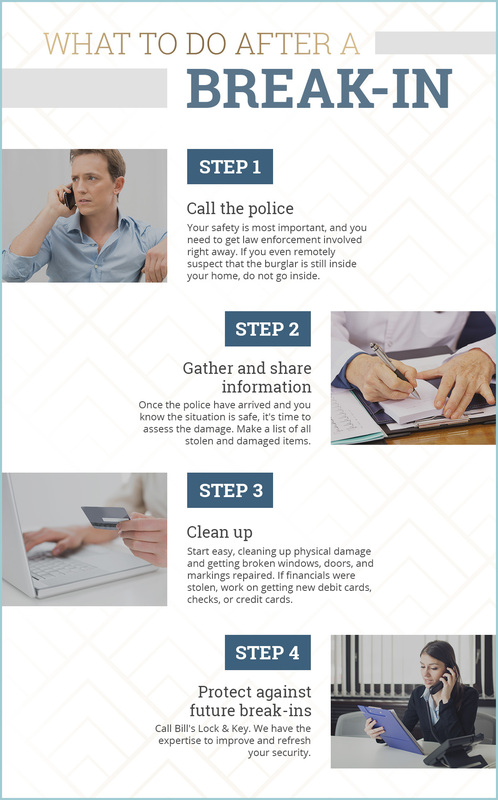 Anyone who has experienced a break-in, whether they were home or not, understands how daily life can change once you’ve realized your home can be broken into. At Bill’s Lock & Key, we are dedicated to being a source of security and confidence for Albuquerque homeowners, and we are here for you. If you experience a break-in, chances are good you’ll feel frightened and unprepared. After all, nobody wants or expects to experience a break-in, which makes it a very unpleasant surprise. However, while shock is pretty much inevitable, you can be prepared! You can also rest in the knowledge that there are people like us in Albuquerque who are knowledgeable, familiar with this type of situation, and ready to help you put things back together and feel safe again. The best thing you can do after a break-in is to keep your cool. Yes, this is easier said than done, but we’re hoping the steps below give you something to focus on and keep moving forward. 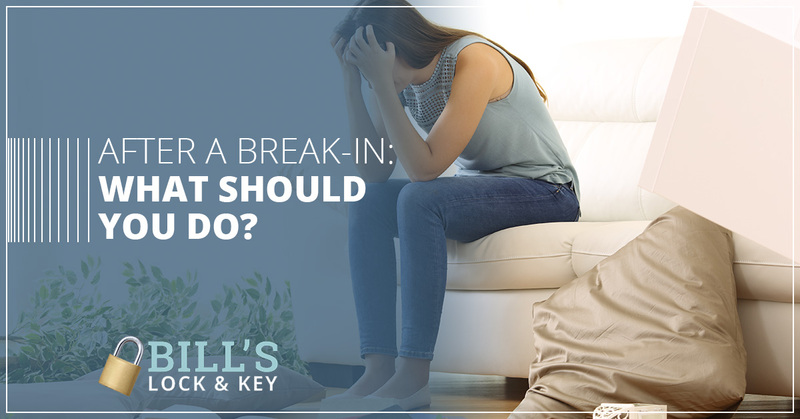 Whether you experience a break-in first hand or come home to find your house has been broken into, a thousand things will probably run through your head. Calling the police should rise to the top. Your safety is most important, and you need to get law enforcement involved right away. If you even remotely suspect that the burglar is still inside your home, do not go inside. Instead, go to a neighbor’s or back to your car and call the police. The dispatch will ask for your name, address, phone number, and a small description of what has happened. If you’re inside your home and waiting for the police to arrive, resist the urge to touch anything. Unfortunately, you’re at a crime scene, and everything around you is evidence that the police could use to find the burglars. Here is one last note on the importance of calling the police: making that call ensures your incident gets on-record. If you don’t take this important step, you’ll have problems with insurance down the road. Step 2: Gather and share information. These are stressful circumstances, but you can make them a bit easier to handle by putting together a folder of information about the incident. Once the police have arrived and you know the situation is safe, it’s time to assess the damage. If you have a home inventory already, it can be a very powerful tool. However, if you’re like most of us and you haven’t taken the time to write down everything you own, go ahead and make a list of all the stolen and damaged items. You’ll want to include a description and value for each item. If you’re not sure what is missing, keep in mind that firearms, electronics, cash, and jewelry are the most commonly-stolen items. 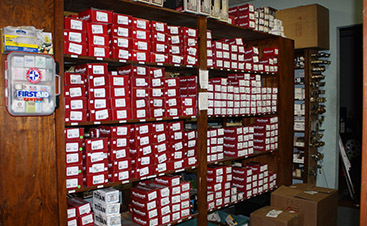 Be very careful when taking inventory and make a copy of the list you can give to your insurance company. In addition to listing missing and damaged items, you should write down everything you can about the situation in general. Take pictures of the crime scene. If you saw someone exit your home, record anything you can remember about them. The police should ask you questions about these details and more, including who has recently had access to your residence and previous roommates. Be prepared to take a deep breath and give them as accurate questions as possible. If you have a security camera, you should always share it with the police. Some people can’t emotionally handle watching the footage, but if you can, gather as many details from it as possible. The police should share the case number with you, but make sure you get it so you can obtain the full report later. It is also helpful to get the names and badge numbers of the responders. Step 3: Call your insurance company. We understand that you’ll want to clean up and return you home to a secure state, but there’s another team that needs to assess the situation: your insurance company. You should make every effort to contact your insurance company within 24 hours of the crime. If you can, stay with relatives to ensure you don’t mess up important evidence a claims adjuster will need to see. Keep in mind that the insurance company will need a police report to move your claim through and gather up as much supporting documents as you can, including warranties and product manuals. All of this information will help your insurance claim. Step 4: Clean everything up. Many people can’t wait to get to this stage, but it can be overwhelming to feel like your life has fallen apart and you have to put it back together somehow. Start easy, cleaning up physical damage and getting broken windows, doors, and markings repaired. If financials were stolen, work on getting new debit cards, checks, or credit card. Even online passwords should be changed, especially if a computer or laptop was stolen. Recovery can cost money, and some insurance policies will reimburse you for the expenses. Keep receipts and any other information that can help the insurance company move faster on your claim. Step 5: Protect against future break-ins. Burglars search for homes that will give them the biggest reward for the least effort. The more difficult you can make a burglar’s life, the safer you are. The good news is, burglars have already shown you a weakness in your security, so you can get that fixed and amend any other issues — anything from lighting to foliage to your daily schedule. This is the time to call Bill’s Lock & Key. We have the expertise to improve and refresh your security. We can discuss better locks, unique security solutions, and then get them installed for you. We want to help you get your life back to normal as soon as possible. Break-ins are traumatic and can be major setbacks. However, if you’ve suffered a break-in, you aren’t alone. 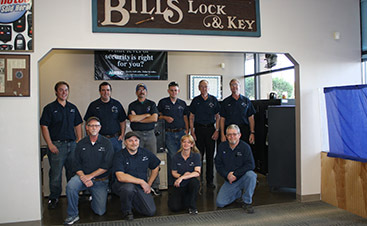 The team at Bill’s Lock & Key is passionate about being your ally and doing whatever we can to restore your sense of security and comfort. There are dozens of effective security solutions out there, and we are here to help you figure out what will work for you. 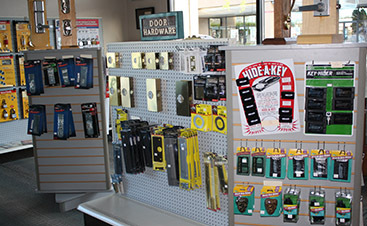 Contact our locksmith team in Albuquerque to learn more about what we can do for you!